You will be given a reference e-book to read which has 179 pages And the test will be based on that e-book , you can take final test within 1 year of purchase. Corporate communication can be defined as a set of activities that primarily encompass the management and orchestration of all external and internal communications directed towards creating the most favorable point of views and perspectives among different stakeholders wherein the whole organization’s operations are based. These activities refer to all the issued messages by corporate bodies, institutions and organizations to a wide range of audience including media, general public, channel partners and employees. Different business organizations have one aim and that is to effectively communicate their messages to stakeholders and their audience so they will have an easier time transmitting their ethics, credibility and coherence. It should be noted that effective corporate communication is also a major help for all organizations who wish to completely explain their mission along with their values and vision using a more cohesive message to the general public and stakeholders. One can also view corporate communication as one of the most integrative and relevant communication structures that are capable of efficiently linking a business organization to its stakeholders. It is also important for you to note that this process has major responsibilities including corporate branding which involves the process of fleshing out company profile behind the brand, minimizing discrepancies within the brand features and desired identity of the company, delegating communication tasks, formulating and executing efficient procedures as a means of formulating the best communication decisions and mobilizing external and internal support designed to reach the major objectives of an organization. If you are one of those who greatly aspire to become a corporate communication expert, then be aware that Brainmeasures, an online certification course provider, can help you out with its corporate communication certification program. This corporate communication course offered by Brainmeasures is proven to be really amazing since it covers all topics that are essential in boosting your expertise in this specific field. This certification course allows you to undergo a corporate communication training which can deliver the best results especially in strengthening your knowledge about corporate communication, its scope and major functions, its major components, the different techniques that you can use in this process and the major reasons why different organizations need to effectively implement this. Earning a corporate communication certificate allows you to let the whole industry know that your skills and expertise in this area are among those that one can never easily overlook. 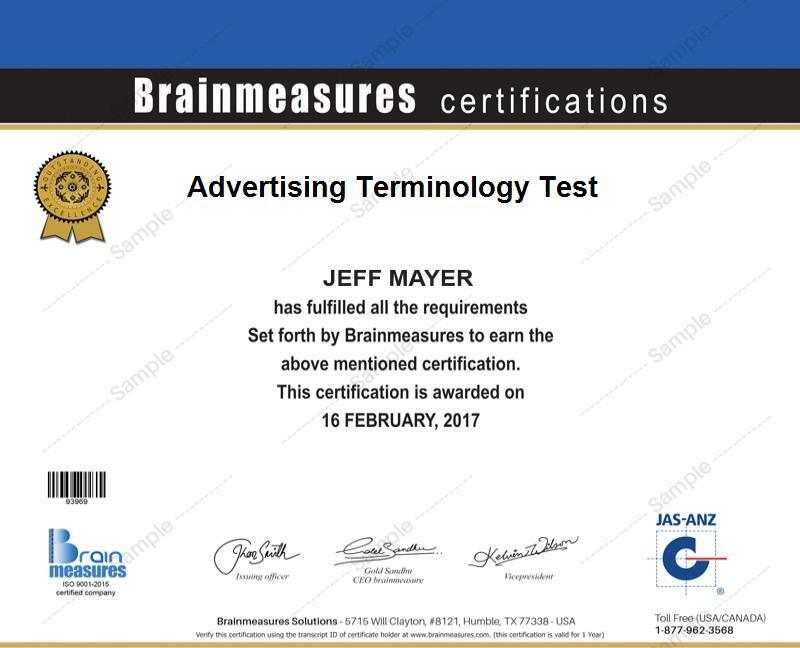 Effective communication is extremely essential in maintaining the good performance of a business organization so it is safe to make an assumption that the corporate communication certification program available at Brainmeasures can benefit a lot of individuals and professionals. This program can work even more suitably for all marketing managers, marketing directors, business managers, marketing executives and any other professionals who are in charge in the execution of PR and corporate communications campaigns and vital corporate affairs. You will also enjoy an instant increase in the level of salary offered to you after you finally receive your corporate communication certification. You can use your certificate in applying for the corporate communications manager position and earn around $66,000 to $124,000 yearly from it. Working as a corporate communications director can also reward you with up to $192,000 annual salary.